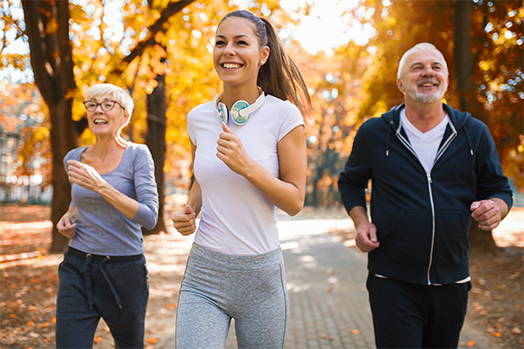 According to the World Health Organisation (WHO), good nutrition consists of an adequate balanced diet combined with regular physical exercise; this contributes to a healthy immune system and guarantees physical and mental development while reducing susceptibility to illness. All of our products can form part of a healthy diet. 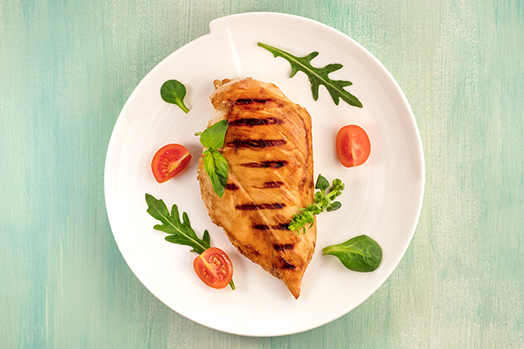 Our main ingredients, chicken and turkey meat, constitute an excellent source of high biological value protein: perfect for diets which are low in calories and combined with high levels of physical activity. This also helps to prevent cardiovascular conditions while boosting the immune system. These properties, combined with their ease of digestion, make chicken and turkey meat a perfect food choice for children and older people. According to the Fundación Española de Nutrición, in a balanced diet for an average adult protein intake should constitute a daily proportion of 10% to 15% of the total caloric intake. This should be high biological value protein, such as that found in chicken and turkey meat. This type of meat contains very little saturated fat and can contribute up to 46-49% of the daily protein intake required by an average adult. It is also an important source of the B-complex group of vitamins such as B1, B3, B5, B6, biotin and vitamin B12, as well as minerals such as phosphorus, potassium, magnesium, iron and zinc.